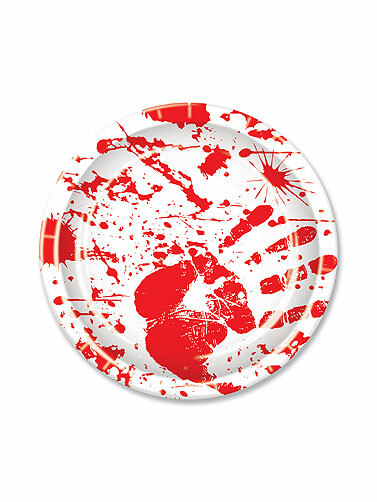 Set a bloody table for Halloween with these bloody handprint paper plates. Good size for serving treats and finger foods. Complete the party theme with other Bloody Handprint items, each sold separately. Bloody Handprints Plates measure 9" in diameter. 8 ct.